As I am writing this report this morning at 5:00 am, just before I head down to the dock, it looks like I got lucky on the winds today. The strong wind warning has ended and that means I can get across to Gabriola or Nanaimo, and that is good news as that is where the best chinook fishing has been by far. We have been confined to local waters for most of the week, and even had to hide up Howe Sound on a few days with winds pushing 30 knots SE yesterday at one point. 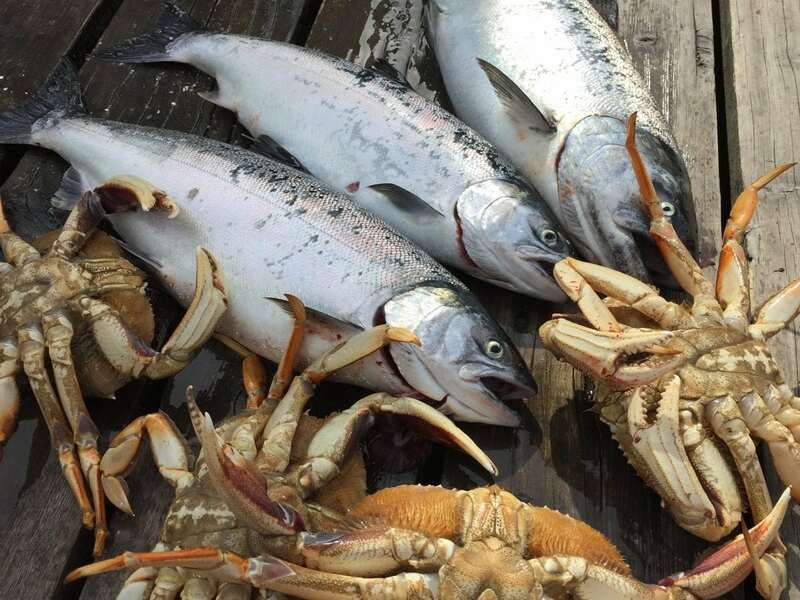 Locally there are a few chinook around, mostly off South Bowen from Cowan to Roger Curtis, but it was too rough to fish there some days this week. Good rigger depths have been 90-150 in that area. When we couldn’t fish there we were at Hole in the Wall and found a few fish from 90-120 on the riggers. In both locations we have been doing well on 3.5 Kingfisher and G-Force spoons with some green and some glow on them. Good choices would be Irish Cream and Trailhead. We have also been getting fish on bait, especially anchovies in Howe Sound as that as what the fish are feeding on. 5.5 inch anchovies in a UV purple or UV green teaser head has been productive. For flashers we have been using Green Onion Glow, Purple Onion Glow, UV Purple Phantom, UV Chartreuse Phantom, STS, and Salty Dawg. The coho are also starting to show up! Lars was into a few coho yesterday morning off West Van before he had to run from the wind and hide up Howe Sound. There has also been good reports of coho out on the Hump when you can get out there. On some of the calm days there has even been coho visibly finning and feeding on the surface. Looks like we are off to a strong start for coho and it is now officially time to check out West Van for these fish. Try from Point Atkinson all the way down to the Cap Mouth and keep your gear shallow. Best depths are from just under the surface down to about 65 on the rigger on flat calm sunny days but generally you will have the best action in the top 45 feet of the water column. UV white, UV peach or UV white with pink hootchies are deadly, both in the regular size as well as the mini or squirt sizes. Try a shorter leader length, about 28 inches. 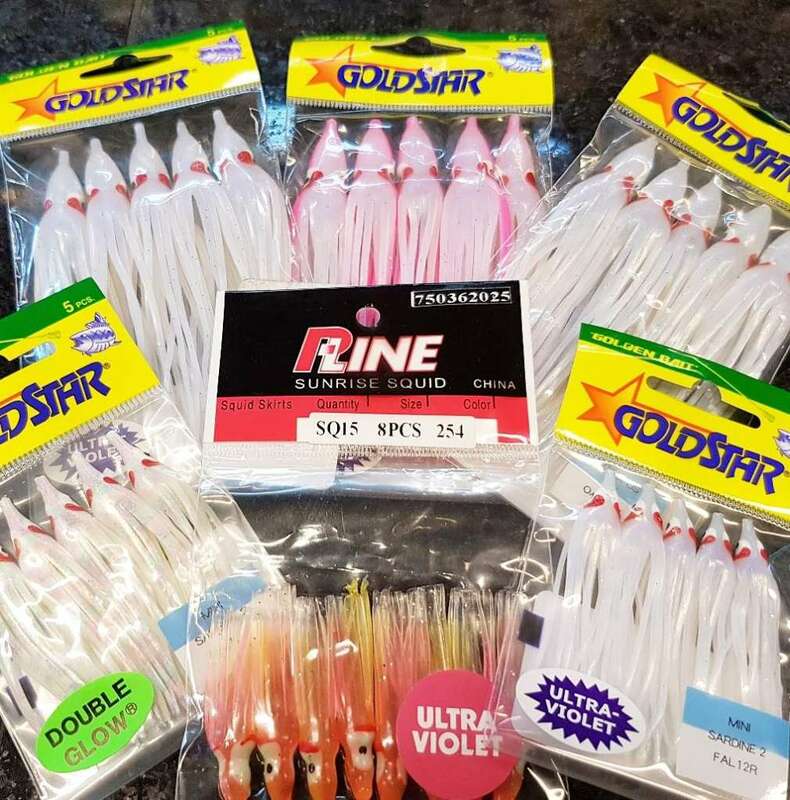 In the shallower water try a Betsy flasher or Twisted Sista, Green Onion, Purple Onion, Purple Haze, or Green Haze. 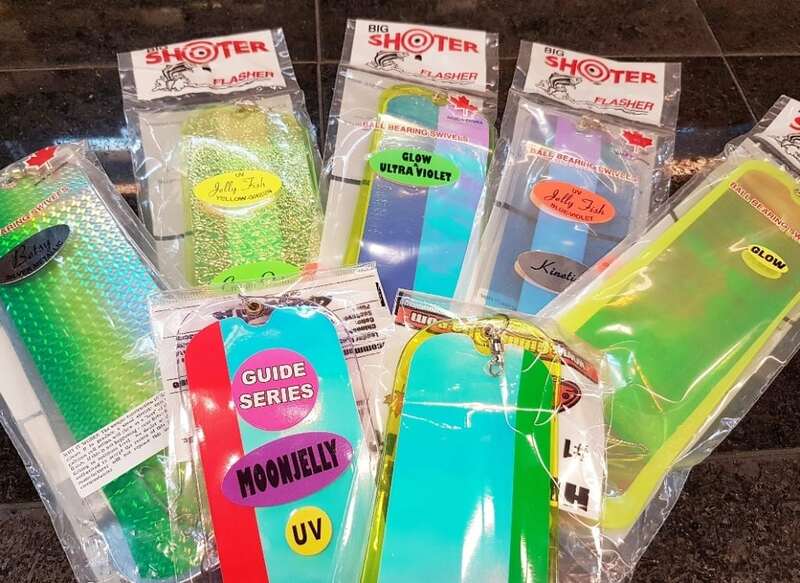 We have all the right flashers and hootchies in stock at the shop so stop by and see the guys today or this weekend and they will get you setup. If you need a confidence booster, the Capilano Hatchery already has over 1000 coho in the holding ponds, so the coho run has clearly started! If you are going to make the crossing to Gabriola or the Nanaimo area, make sure you have lots of cable and 18 pound cannonballs. The fish have generally been pretty deep, just off bottom in 100-250 feet of water. Glow flashers have been the way to go, like Salty Dawg, any of the Phantom flashers, STS, Green Glow, Chartreuse Glow, and Blue Glow. Hootchies have been excellent as usual, like the green, chartreuse, or blue splatter back with a 32-35 inch leader. Crabbing has been good but the commercial fleet is here so expect that to slow down considerably over the coming weeks. Make sure to follow us on Instagram and Facebook as I will be posting a few short videos this week and some pictures of our productive flashers, hootchies, spoons, and teaser heads.